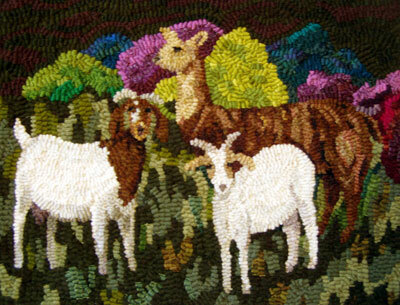 Each of Karen Poetzinger’s pieces are created using traditional rug hooking methods. 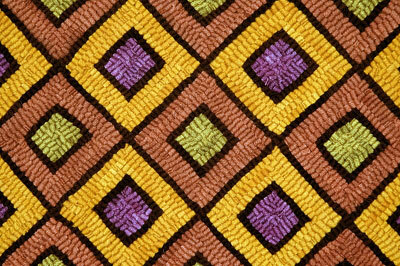 She uses 100% wool flannel which she hand-dyes, then cuts into strips and hooks on to a linen backing. 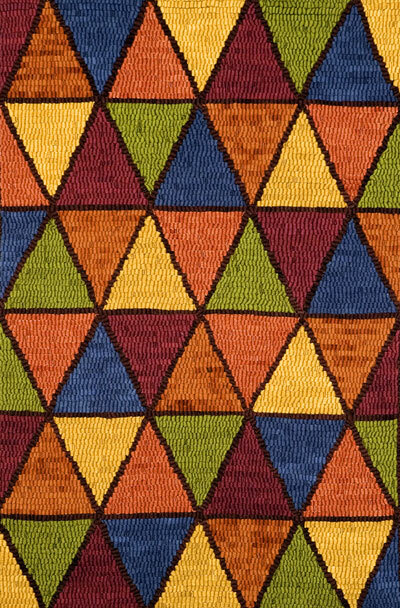 Her favorite designs are contemporary geometrics using strong colors, or animal imagery. 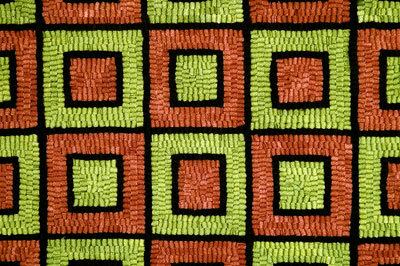 Her goal is to create a colorful rug or wall hanging that captures the eye and invites the viewer to touch.